Originally published at www.2ndscreensociety.com on March 19, 2015. 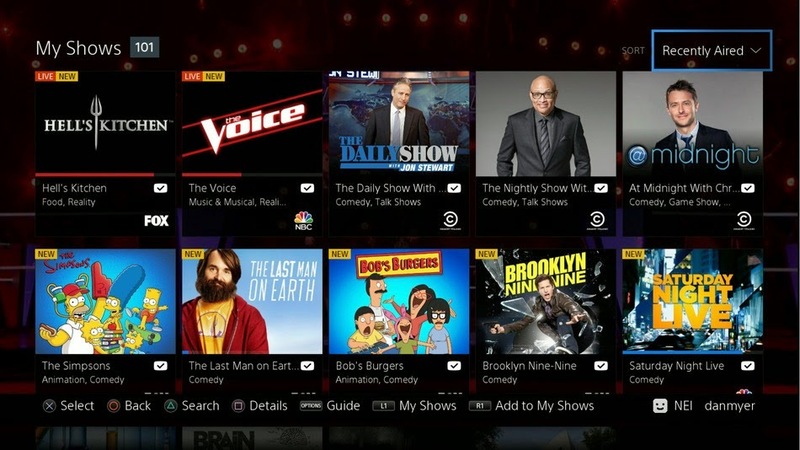 Like Dish’s Sling TV and Apple’s rumored new Apple TV package, Sony Vue, which launched this week in several cities, is not going to destroy the television industry. Vue is even more curious than its predecessors in that it requires viewers to be in possession of a Sony PlayStation box, said boxes retailing for upwards of $200. Now there are lots of people who own Playstations — Sony sold over 20 million Playstation 4s alone — but the Venn Diagram of People Who Own Playstations + People Who Have Broadband But Not Pay TV + People Who Would Want To Spend $50-$70/month To Watch Pay TV On The One Set Their Playstation Is Attached To has got to be very small. The service is a bit fatter than the slim bundles Sling and (allegedly) Apple are putting out there: it has 80 stations, some of which you need to pay extra for, bringing the price from $50/month to $70/month. It even has DVR and VOD capabilities. What it doesn’t have though, are any networks in the Disney/ABC line-up, which also includes ESPN. That’s a major omission and it will be challenging to see the real value in paying $70 for an ESPN-less package that only plays on one TV versus spending a few dollars more to get the same service (plus hundreds of other networks) on every TV from your MVPD, who’ll probably cut you a deal on your broadband service for taking both. What’s interesting though, is how many networks have agreed to carriage deals with these new V-POPS (Virtual Pay-TV Operators) and what that might mean. It could be a signal that they’re ready to play ball when someone comes along with an option that provides an more viable challenge to the status quo. That was, if you recall, what Intel’s On Cue was supposed to do: take on the industry from the high end by offering a “luxury” service so to speak, but they got derailed by their inability to land enough deals to create a viable service. So that is the question: are all these networks cutting deals with this round of V-POPS because they know they’re not a real threat to the current pay TV system and they’re looking to experiment? Or are they serious about going virtual? What’s more, they get to gauge the public’s appetite for these sorts of systems: who is signing up, what was their previous status (cord never/cutter/pay-TV customer) and how long do they keep the service? Do they use the service on a connected device or an a mobile device? What shows are they watching? There’s a lot to learn before they go big time with a V-POP. Right now we are in experiment mode with all these services. The whole notion of a V-POP has undergone a 180, from a premium service with better UX that replaces pay TV to a slimmed down bundle with minimal UX that lets people dip their toes into the pay TV waters and it may well change again.